All-Star Insurance, a family managed agency that offers insurance management assistance and personal financial consultations to residential and business clients throughout eastern Texas, is announcing the launch of a new charity drive to benefit women in the area diagnosed with breast cancer. 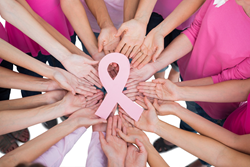 Recent breast cancer statistics in the United States reveal that an estimated 252, 710 new cases of invasive or high risk breast cancer will be diagnosed this year. By working to increase awareness of measures that can be taken to reduce the risk of breast cancer, including self-exams and routine mammograms, the All-Star Insurance team intends to decrease the incidence of new cancer diagnoses in the region. “By working together, our community can not only help prevent new cancer cases from emerging, we can accelerate research efforts into treatments and cures for breast cancer,” says Joe Dodd, president and principal agent of All-Star Insurance. Dodd and his team are building relationships with local civic leaders, families, and health care practitioners over social media networks and an email update system in an effort to galvanize local support for the breast cancer charity event. Future publicity is anticipated pending the release of a cover article discussing breast cancer realities scheduled for publication in the All-Star Insurance online magazine “Our Hometown”: http://www.all-starinsurance.com/Our-Hometown-Magazine_39. A dozen charitable causes and nonprofit agencies operating throughout eastern Texas has received publicity assistance in a series of charity events hosted by the All-Star Insurance team over the last year. As affiliates of a nationwide charity support group called “Agents of Change,” Dodd and his team will be working with new local charities regularly. Everyone who wishes to be part of the charity drive to fight breast cancer alongside the All-Star Insurance team is urged to join other supporters in the region by following this link and making an effort to further the cause: http://www.all-starinsurance.com/Taking-A-Stand-To-Support-Women-Battling-Breast-Cancer_24_community_cause. All past charity events sponsored by All-Star Insurance are detailed on the firm’s Community Causes archive: http://www.all-starinsurance.com/community-cause?page=1.